Taking a break from fashion in this post and concentrating on beauty. 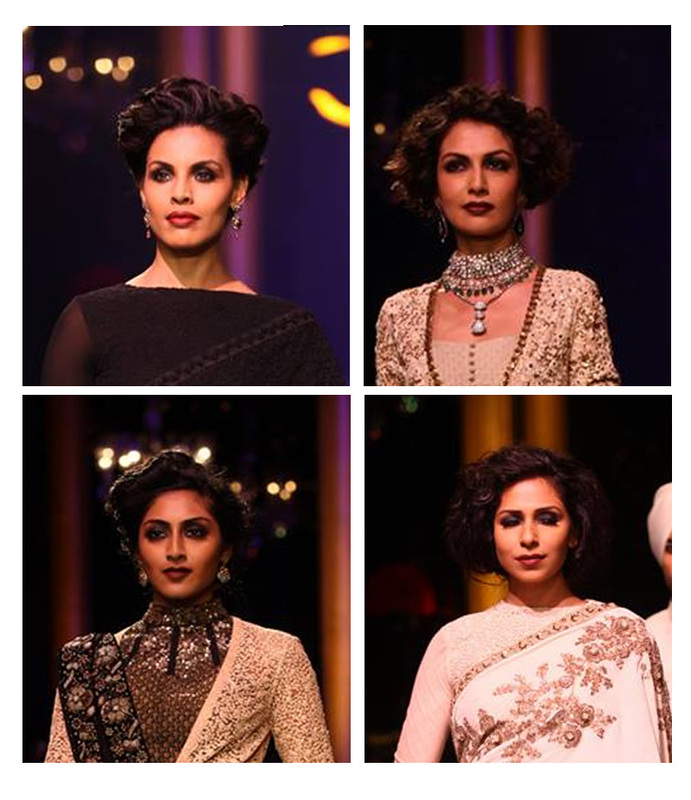 I noticed that 1930’s Hollywood glamour meets Vamp was trending at the recent PCJ Delhi Couture Fashion Week and Lakme Fashion Week at both Manish Malhotra and Sabyasachi. It’s a fab look and the fact it works on every skin tone makes me love this trend even more! You can go for a more plummy brown shade or plummy black shade- either makes for a strong evening look. 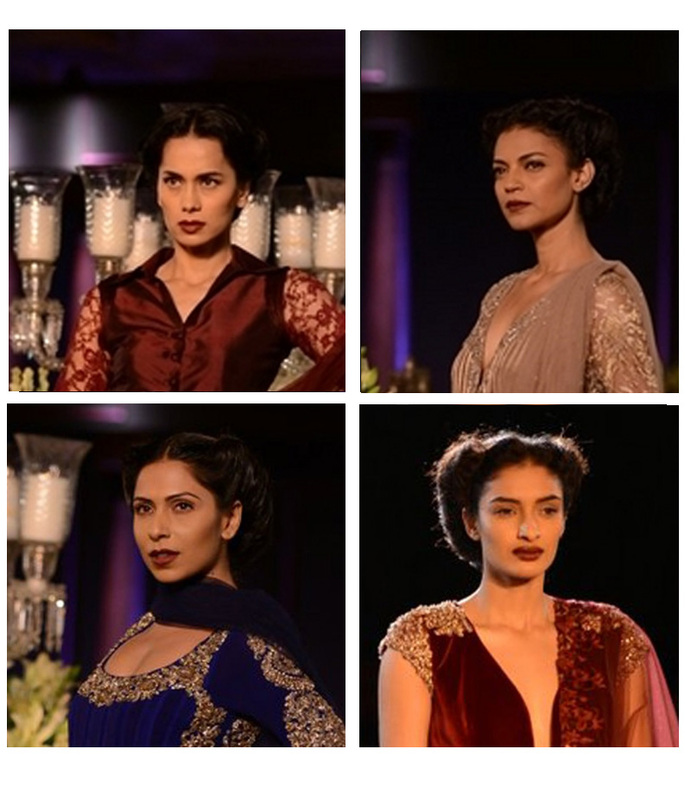 Strong brows and Vampy lippy at Manish Malhotra’s PCJ Delhi Couture Fashion Week. Taylor Swift rocking Old Hollywood glamour meets Vamp. Sabyasachi’s Old World Glamour Vampy lips and smokey eyes. Go for these shades of plumy/brown to get the look. 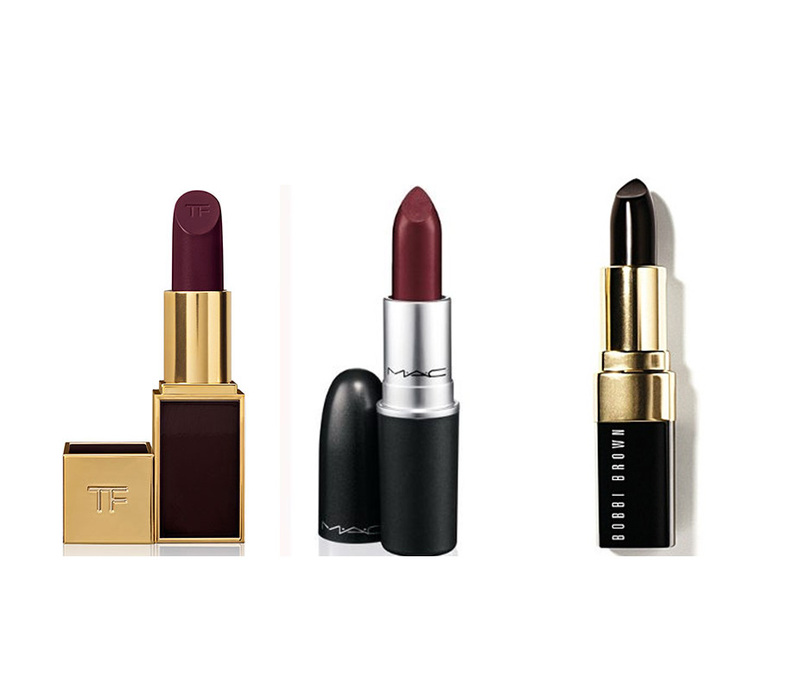 L-R Tom Ford Lipstick in Plum, M.A.C Matte Lipstick Diva, Bobbi Brown Lipstick in Black Raspberry.